Our favorite resources for Pilots! wunderground.com – Long Range & Local – Weather forecasts and reports. Aviators Model Code Of Conduct – Innovative tools advancing aviation safety and offering a vision of excellence for aviators. Aviation Safety Reporting System – Known to many as the “NASA report,” may possibly help you “get out of jail free” by sharing the information. EAA – Expermental Aircraft Association – The Spirit of Aviation! ADF, VOR, Instrument Training Tool – A website with incredible training tools! Exams4Pilots – Smarter pilots mean safer skies. Toward that goal, this site seeks to provide a convenient place where pilots, both new and experienced, can come to build their aeronautical knowledge. FunPlacesToFly.com – Where are you going to fly today? 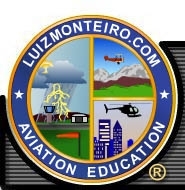 Aviation Events, Videos and News! Pilot Finance, Inc. – You CAN afford the dream! FAA – Federal Aviation Administration homepage. FAASTEAM – Safer skys through education. Join this site and sign up for the WINGS program! This is a great site for anyone interested in aviation and air power. With the link above, you will be able pull up every airplane that was built in every country in the world and every aircraft company. Want to check out almost any airplane ever built in the world? Old, new, military, or civilian?